Smart Power Outlets.. Where are they? Has anyone noticed that the AC power socket that powers almost every household appliance essentially hasn't changed in 30 years? Forget the Iphone 8 for a minute and think about this fact. We are becoming increasingly dependant on electricity and yet we still don't have an efficient way to use the wall outlets without building a myriad of 'adapters' and 'converters' into our devices. Power outlets are outdated, and that needs to change. 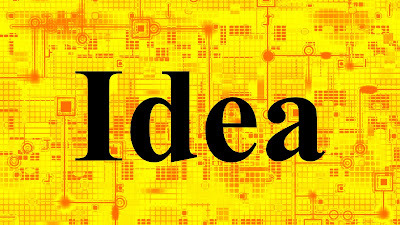 Therefore, I am pitching out this idea hoping that a capable company/organization/team/individual can one day bring this development into reality. To provide an alternative set of wall outlets, surge protectors, and switches that communicate with each other via a local network to learn the power consumption habits of the user and optimize each outlet for maximum safety and power conservation. As more electricity is being consumed against the limited production quantity that each country has, the costs of consuming electricity is increasing rapidly in almost every country. Take South Korea for example: to prevent power outages, the Korean government has banned the use of air conditioners during the hottest times of the day, reserving the use of air conditioners only for public commercial buildings like major shopping malls. Violators are subject to pay heavy fines relative to the amount of electricity they consume. This has lead to numerous obvious problems, including risking the lives of the elderly who are prone to heatstroke (in summer) or circulatory diseases (in winter). Meanwhile, some countries are taking action to transition from nuclear power to renewable power. During this transition period, in which nuclear power plants will be shut down and new but expensive renewable power infrastructures are being put in place, the cost of electricity is expected to spike, worsening the existing problems of limited supply and high costs. So what could be done to reduce the cost of electricity for households? Turning to solar panels and wind energy can work, but the technology hasn’t developed enough for most households to use, especially since it is expensive considering the current level of efficiency, something else needs to be done. These are just examples where the new idea can be applied. Most consumer products that use electricity draw power from the household wall power outlets, which have remained the same for the past 20 years or so. This is where innovation can be put into place to reduce the amount of electricity that is unnecessarily used. The innovation here is that each unit of the final product that is going to be plugged in would contain a circuit that communicates using an encrypted radius network with nearby units that share the same public key to learn about the power consumption habits of the consumer household, and optimize the flow of electricity to reduce the amount of electricity wasted in situations like when devices are plugged in, but not in use, or from the electricity that is wasted in conversion processes for certain appliances. The device should also be able to communicate with other (supported) IOT appliances to optimize home automation and power conservation. It would also have a complimentary app that can be used to monitor and control the behavior of the units and the automation sequences. The data collected by the units can be exported by the user and uploaded to the central server for further analysis. To protect the anonymity of the users and their recorded power consumption habits, no sign-up will be necessary, and a ring cryptography scheme will be employed to anonymize the data uploaded by the specific client id, but still keep it accessible to the client. The final intended product(s) would innovate the existing wall outlets that are an international standard as of right now. Optimally, it should be a plug and play product with minimal setup hassle. On a side note, this can also be somehow integrated with blockchain technology to ensure privacy and security. 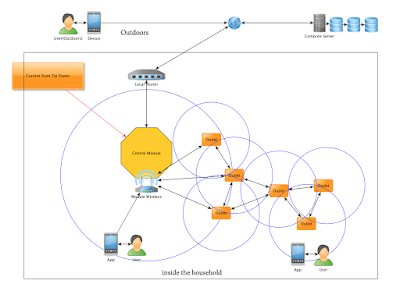 Potentially creating the largest defense network as each household would not just have one, but at multiple smart power outlets.